The second day of Star Wars Celebration gave a real in-depth look at some of the stuff that makes up Galaxy’s Edge and how this is the absolute Star Wars experience that anyone can enjoy. The best part of the day was the fans and their love for the series, as shown in the Rebels Remembered and Sisters of the Force panels. And who could not love getting a first look at the first proper solo experience in Star Wars gaming for more than five years. Galaxy’s Edge had a preview on the Star Wars Show stage, saying how it will be an absolutely immersive experience. You can feel Star Wars. You can taste it. Smell it. There’s a lot going in to keep it authentic to the Star Wars universe, and everything seen is practical. 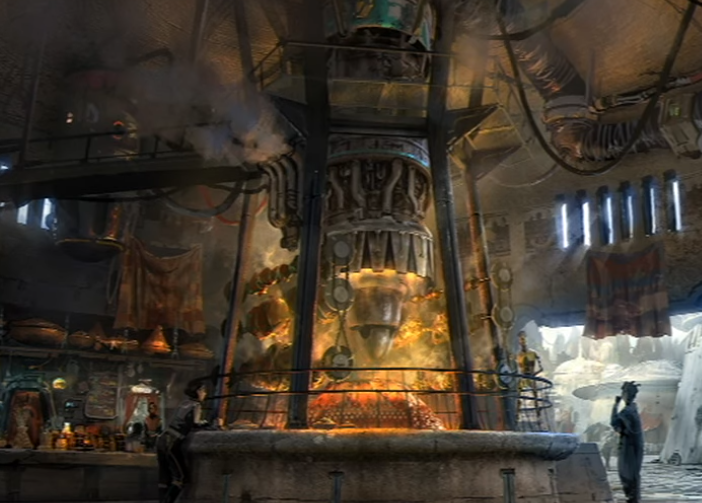 And the droid from Star Tours is a DJ within the Black Spire Outpost. The panel talks about how this is the largest thing that has ever been done within the Disney Parks, again emphasising the authentic feel to the world they have crafted. Certain things were shown detailing that level of immersiveness. The idea behind a new planet was that Tatooine is the Skywalker experience, but this has to be your experience. The story of this planet is a strong focus, as shown through some of the published media, but Galaxy’s Edge has its own story to tell. There is a lot going into it, with plenty of experiences to see and take part in. There’s blue milk served, along with in-universe food and other drinks. There’s a partnership with Coca-Cola to bring their products into the Star Wars universe. You can build your own lightsaber, find objects and in-universe toys, and explore everything that makes up this world. There’s even new music that’s been created to bring a lot to the sound of this world. And even John Williams has joined in with it. Even the Millennium Falcon ride is being built with authenticity in mind, with those in the cockpit all having something to do in keeping the ship running, and alarms and sparks flying when damage is taken. Even Hondo Ohnaka – who returns with his own smuggling business – has been recreated and is voiced by his actual voice actor. They even tracked down the original voice actor for Nien Numb to get voice lines. It all looks amazingly authentic. It’s the magic of the movies fully recreated in life. Black Spire Outpost is a place I want to go. There’s a passion and love that has gone into this world in crafting the history and creating this point in time that should be a very touching moment for all fans. And fans at Celebration get to experience a bit of it on the floor with the Galaxy’s Edge booth. 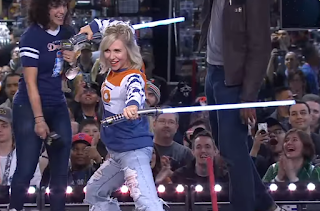 Ashley Eckstein took a tour of the merch available from it and was surprised with an exclusive Ahsoka doll. All this merchandise is created as authentically as possible, with materials uncommon with our own toys. 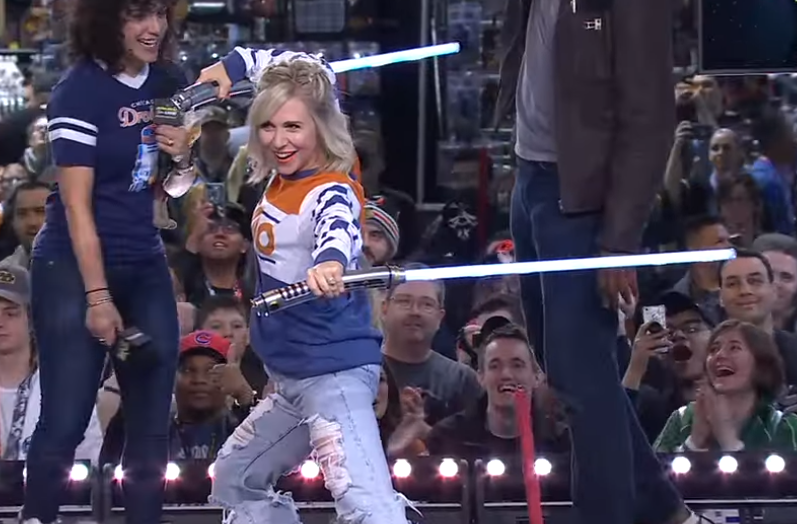 And then she got another surprise when she joined the Star Wars Show stage – Ahsoka’s White Sabers. There’s other exclusive lightsabers available at Galaxy’s Edge, and they all will have removable blades. Fantasy Flight Games has a catchup of what was announced at their panel, POP and PEZ figures are shown off to celebrate the 20th of The Phantom Menace, and a R3X figure from Star Tours and now Galaxy’s Edge. Dee Bradley Baker was also up on the stage giving a bit of a talk on The Clone Wars and hinting at things to come. The Galaxy-Wide Premiere of Jedi: Fallen Order brings some members of Respawn out to start with their experiences of game development before getting into the game itself. The combat is an easy to get into but hard to master set-up, where you need to be aware of enemy types. And then they jump into a teaser trailer of the story. And it looks to be exploring a lot of places. And there’s a lot of character that’s coming through in just this trailer. There were a few characters shown, with the droid we see with main character Cal Kestis being BD-1. Cere is a former Knight who joins Cal and acts as a mentor. These former Jedi will be fighting against new Inquisitor Second Sister who featured briefly in the Vader comic as well as the Purge troopers who aid the Inquisitors’ cause. There wasn’t much else told about the game, but E3 should feature the first gameplay and give us more. For me, it gives vibes of The Force Unleashed trailers, offering up enough story while not revealing anything major. And there will be major points within this, what with their teasing about the lightsaber in the trailer being important to the story. There could also be a history between Cal and who the Second Sister was if she belonged to the Jedi Order. To have a true solo adventure within the Star Wars gaming world is honestly exciting. Here’s hoping it lives up to the hype. The Rebels Remembered panel brought Dave Filoni, Venessa Marshall, Taylor Grey, and Tiya Sircar together to talk the wolves and the final season. The death of Kanan and his relationship with Hera. Tiya reveals the story behind that final epilogue. Kanan and Ezra’s relationship is talked about, the world between worlds, and a whole lot more. It was fascinating to listen to, and is well worth taking a look at if you didn’t watch it. It such a great look back that it made me want to watch the whole series again. Dave Filoni took to the Star Wars Show stage to talk The Clone Wars and Rebels, and even the differences between live action and animation. Tomorrow will really be his day of the future, where this day has been looking at what has already been done. Both The Mandalorian and The Clone Wars panels will be panels to watch. 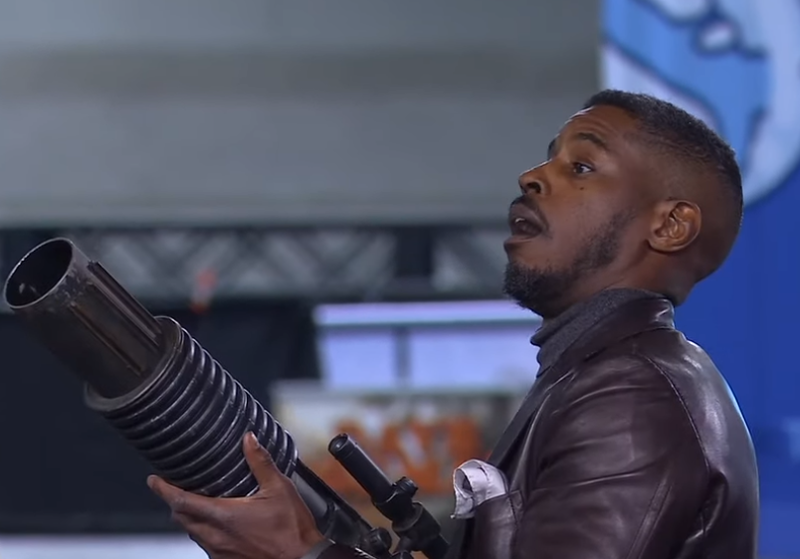 Ahmed Best talks his experiences of playing Jar Jar Binks and the motion capture behind it. This is also his first Celebration, and hearing of what the actors think of Celebration is always heart-warming. He also talks about Frank Oz and how motion capture has evolved. The love for Jar Jar is also very much on show in the crowd. The Sisters of the Force panel was hosted by Ashley Eckstein, brought Venessa Marshall, Amy Ratcliffe, Catherine Taber, Athena Portillo, Suzie McGrath, and talked about the strong female characters of Star Wars. It was a very casual conversation between these people talking about the impact of the characters among fans and themselves. However, just because they’re celebrating the women of Star Wars, the message is that Star Wars is for everyone, as shown through the stories they tell of people they’ve known in troubled times. After the panel was shown, the new collection from Her Universe was showcased, including items styled after Rose Tico’s jacket, Sabine Wren’s armour, Admiral Holdo’s dress, and a Padmé-styled dress and pullover. There is certainly a lot within this collection, and it’s available on the show floor and from the Her Universe online store. There’s a lot of Celebrating still to come, and yet more reveals, more antics, and more fans enjoying themselves and being united in their love of Star Wars. All that comes in Day 3 of the Celebration.